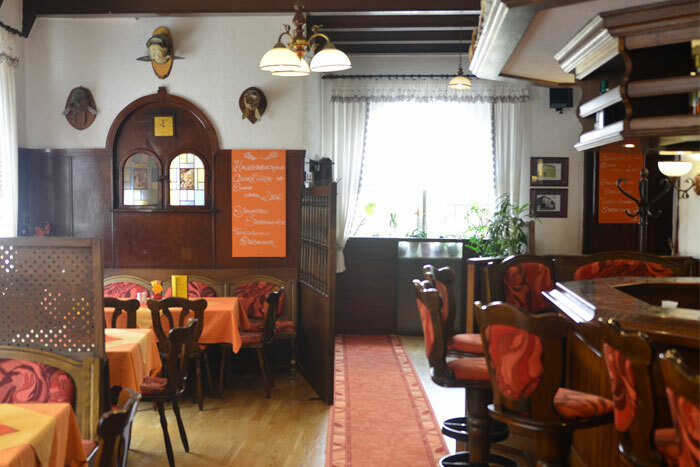 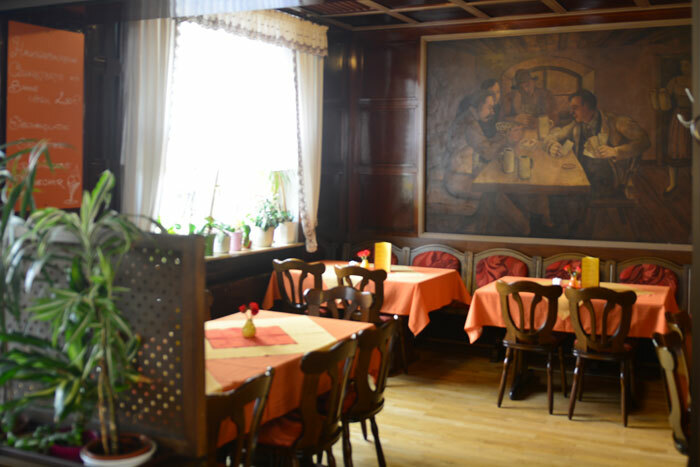 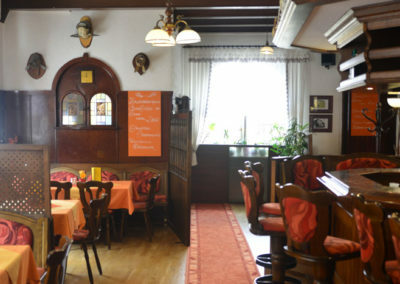 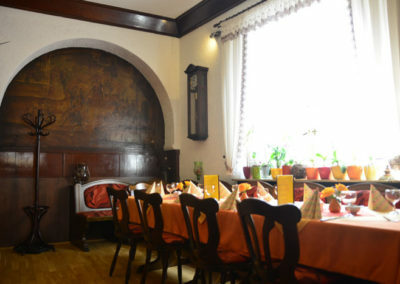 Our cozy furnished restaurant offers you a wide range of our traditional Thuringian good home dishes. 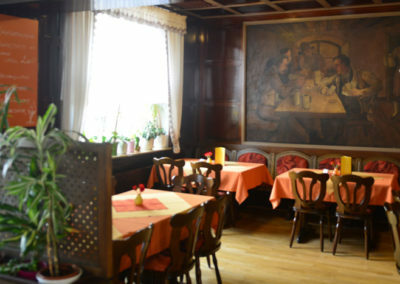 Please also have a look at the saisonal offers, at which you can have a look at the right! 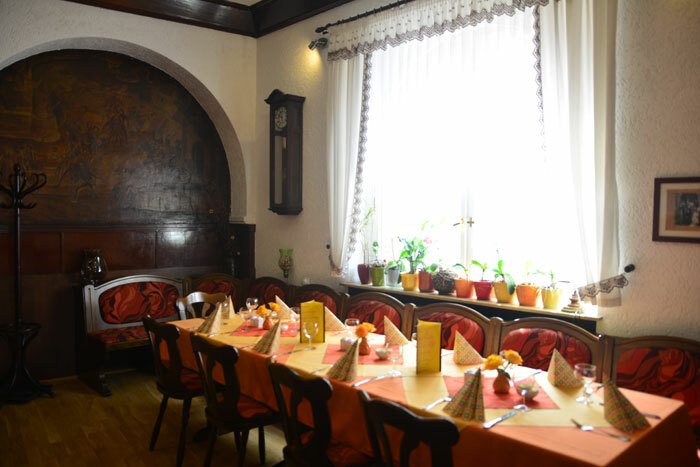 Our cosy guest room offers enough space for parties of up to 90 people. 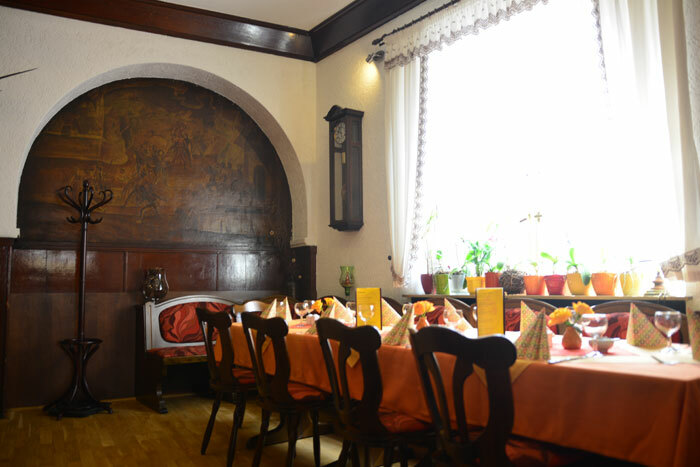 During weekends and holidays we recommend a reservation!